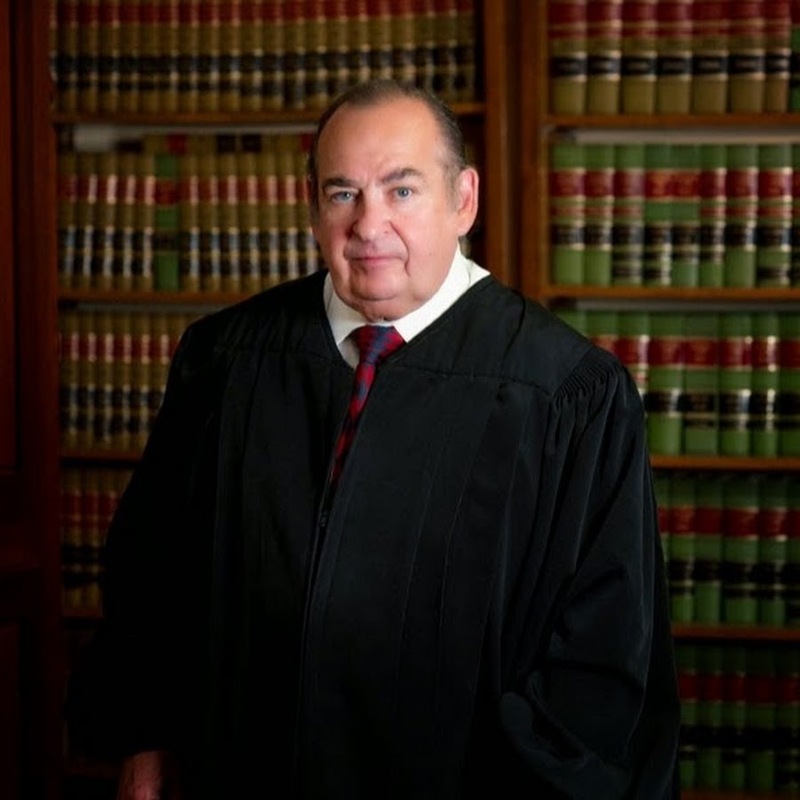 NEW ORLEANS – Despite an effort to keep him off the ballot, Judge Frank Marullo Jr. remains in the running for Orleans Parish Criminal District Court Section D after successfully opposing a lawsuit that could have disqualified him from today's election. On Aug. 25, New Orleans residents Marian Cunningham, Lisa Amoss and Robert Amoss filed suit against Marullo in the New Orleans Parish Central District Court. The plaintiffs claimed that Marullo had surpassed the legal age limit to run for office, according to the 1974 Louisiana Constitution. Additionally, Cunningham and the Amosses asserted that Marullo will turn 75 on Dec. 31, before his next term would commence. According to the 1921 Louisiana Constitution, the mandatory retirement age for judges is 75. The petitioners argued that Marullo should be ineligible for the election because he will have reached the mandatory retirement age by the time he takes office again. Marullo countered, filing an answer and opposition to the plaintiffs’ suit on Aug. 28. He argued that the 1971 Louisiana Constitution applied to him, as he assumed office on Sept. 16, 1974. The 1974 Louisiana Constitution did not take effect until Jan. 1, 1975. Marullo asserted that he will be 74 when the Nov. 4 election takes place, and alleged that he will take office before his 75th birthday on Dec. 31. The defendant further argued that there is no age requirement specified by the Louisiana Constitution with respect to running for the office of a judge of district court. The filing cites Article 5, Section 24 of the Louisiana Constitution, which only enunciates that a judge must live in their respective parish for one year preceding the election and must have at least eight years of experience practicing law in Louisiana. Marullo went on to discuss the topic of mandatory retirement age. He referenced Williams v. Ragland, in which one justice opined that provisions for mandatory retirement age were not intended to be absorbed into Section 24 as a qualification for running for judicial office. On May 30 the Louisiana legislature allowed that electors could vote to abolish or keep the mandatory retirement age for judges and issued a referendum that will appear on the Nov. 4 ballot statewide. Marullo contested that his age will become a non-issue if the constitutional amendment passes. Civil court judges for divisions A, C, D, F, G, I and N recused themselves from hearing the case, for reasons ranging from unavailability to the avoidance of impropriety. Chief Judge Kern A. Reese of Division L oversaw the hearing on Aug. 29 and ruled in favor of Marullo. “Although he will be seventy-five years of age on December 31, 2014, the issue currently before this court is whether Judge Marullo can qualify for re-election,” Reese wrote. Reese referenced the Louisiana Supreme Court decision in Geipert v. Wingerter to support his conclusion that Marullo’s rights under the 1921 Constitution were vested with the 1974 Constitution, which makes Marullo eligible to run again for the office of criminal district court judge. The plaintiffs filed a motion for appeal Aug. 29. On Sept. 3 the Louisiana Fourth Circuit Court of Appeal ruled that Judge Marullo is eligible to run in the Nov. 4 election. Out of 12 judges, only one dissented – Judge Dennis R. Bagneris Sr., who stated that he saw no distinction between eligibility requirements to run for office and qualifications to serve in office. Following the appellate court’s decision, Cunningham and the Amosses filed a writ asking the Louisiana Supreme Court to review the case. On Sept. 10 the Louisiana Supreme Court announced that it would not review the Fourth Circuit Court of Appeal’s decision. The Section D Criminal District Court election has been complicated by controversy in addition to legal sparring. According to a report by WDSU, in September, Marie Williams, a candidate in the election for Marullo’s current office, wore a wire during a meeting with Judge Marullo in Mandina’s restaurant in Mid City. Williams alleges that Marullo offered to help her attain a lucrative position as magistrate commissioner if she agreed to drop out of the race. The FBI is currently reviewing recordings of the meeting, according to the report. After the alleged incident was made public by a number of news outlets, Marullo denied the allegations and released a statement on Sept. 22. “I met with my opponent, Marie Williams, with the understanding that she was withdrawing from the race and endorsing my candidacy for re-election. Ms. Williams solicited my support for a commissioner appointment at Criminal District Court. As usual, I responded that I was willing to put her name into consideration by the Court,” Marullo said. Candidate Graham Bosworth declined to comment on the matter. “I've made a campaign promise not to engage in any negative commentary about my opponent. Additionally, as a candidate for judicial office, I am prohibited from commenting on unresolved legal matters. While the case regarding my opponent's ability to run has been decided, the case also touched on his ability to serve. That is an unresolved matter, and I don't believe that I can comment until the case is fully resolved,” he said. Candidate Marie Williams and former candidate Rudy Gorrell declined to comment. Former candidate Brigid Collins could not be reached for comment. Marian Cunningham, Lisa Amoss and Robert Amoss were represented by Lance C. McCardle of Fishman, Haygood, Phelps, Walmsley, Willis & Swanson LLP. Judge Frank Marullo, Jr. was represented by attorneys James Boren, Rachel Conner and John Adock.